Welcome to the sixth post in our series on “Game of Thrones” fashion. If you haven’t read them already, be sure to check out our previous articles on fashion inspired by House Stark, House Lannister, House Targaryen, House Baratheon, House Tyrell and House Greyjoy. 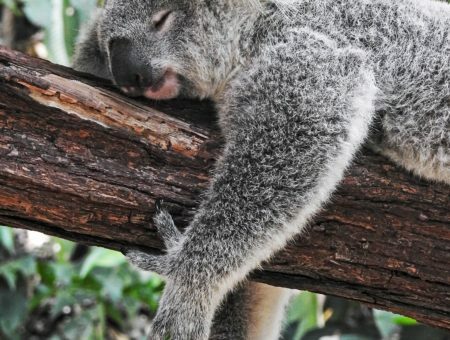 Guys, I’ve gotten to the point where basically the only thing I can think about is “Game of Thrones.” Seriously, how can there only be two episodes left of this season? Don’t worry, I have a strict no-spoiler policy; I’m just saying – I cannot deal with the craziness. We’ve gotten to know so many new characters this time around, and that means it’s time for a post one one of the lesser-known Great Houses of Westeros – House Tully. Even though the magnificent Catelyn Stark hails from House Tully, we didn’t know too much about them until this season, when we were introduced to The Riverlands and the Tullys’ ancestral castle, Riverrun. Like the Greyjoys, Tullys spend a lot of time around water, which holds deeply important symbolism for them. No wonder their sigil is the silver trout. 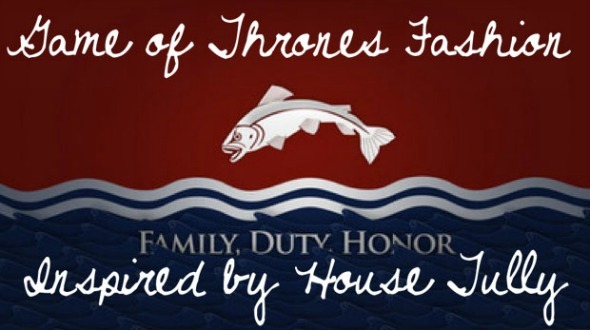 House Tully’s motto is “family, duty, honor,” and its members take those words to heart. Tullys are fiercely protective of their own, which manifests itself in Catelyn’s unwavering devotion to her children and even Lysa’s, um, rather extreme form of parenting. Inspired by the Tullys’ nautical surroundings and deep love of family, I’ve put together three breezy, beachy looks that are perfect for any sun-loving “Game of Thrones” fan. Excited? Read on! This nautical-inspired outfit combines House Tully’s signature colors: red and blue. Sometimes I think combining these hues can be a bit tricky – it can be a bit cutesy and reminiscent of a Fourth of July barbecue if you’re not careful. Play with volume to create a chic, sophisticated look combining these colors: Tuck a billowy blue-and-white striped top into a cherry red skater skirt, then cinch your waistline with a white woven belt. Next, add sea-inspired accessories for a signature Tully vibe, like a fishbone necklace and sailboat-shaped studs. For the finishing touch, go back to basics – accessorize with simple strappy sandals and a matching brown bag to create a refined look that’s still fun and youthful. Inspired by my favorite Cat Tully (okay, Stark) quote, this ensemble totally sums up the Tully philosophy. Create a whimsical, fun-loving look that’s as fierce as it is playful by pairing a graphic tank (gotta have that fish!) with deep blue, tailored shorts. Then, add a splash of red with a woven bracelet. Next, it’s all about the extras. Grab a wave-patterned clutch for that relaxing-by-the-river vibe. Fish hook hoops and a matching bangle are a nice little nod to House Tully symbolism, while gladiator wedges finish the look with an edgy touch. Create a breezy and fun formal look by pairing a vibrant red minidress with a wide array of blue accessories. First, cinch your dress at the waist with a woven brown-and-white belt to create a more casual, effortless ensemble. Then it’s time to pile on the jewelry. Inspire arm candy envy with a braided anchor bracelet and a matching striped bangle – and don’t forget you can always add more! Emphasize the sea theme with an embellished fish cocktail ring and anchor-shaped studs. Complete the outfit with a splash of color – a bright aqua clutch should do the trick nicely. What are your predictions for the rest of series three? (But no spoilers, please!) What do you think of the outfits? Be sure to let me know what you think of this series in the comments – I love hearing your thoughts!